IPv6, Internet Protocol version 6, is the Internet's answer to running out of IP addresses. IPv4 had 4,294,967,296 IP addresses because it was 32 bits and ultimately was a test that became real. IPv6 is 128-bit and has approximately 340 undecillion or 3.41038 IP addresses - it's a lot and we wouldn't have to worry about running out of IP addresses. But to make the change our computers need to update. That means your web site host needs to update things, like your servers, the routers, DNS, and so on. It also means that ISP, the way you connect to the internet, also need to update things. Why the big rush now? Well, there is no rush but technically, the last block of IP addresses were just sold, so we are officially out of new IP addresses. Got that? SEOs of course want to make sure that (1) the search engines can crawl, index and rank their pages and (2) searchers can click over and view their web pages from the search engines. When IPv6, if you are not ready, it is possible you will be missing out on either one or two. But no need to panic, we are a far way from that. 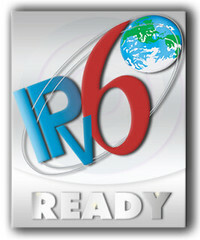 The internet community is holding a World IPv6 Day and players like Google and Bing are partaking. But again, SEOs are concerned and one expressed his concern in a Google Webmaster Help thread. I responded that this SEO should not worry but if they want to learn more, they should read the Google post and see google.com/intl/en/ipv6. Even though it might not be necessary at the moment, I think it's a great idea to move forward see what you'd need to do to enable IPv6 connectivity, both where you're working (or at home) and where your site is hosted. SEOs may want to consider joining the World IPv6 Day and prep some of their sites for this transition. There is plenty of information at the World IPv6 Day page.